Barry Jekowsky has been widely heralded as one of the classical music world’s most visionary and innovative conductors working today. 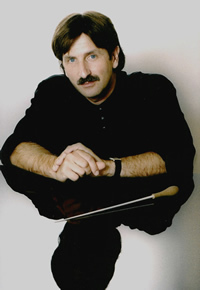 Among other precedents, he has set at the California Symphony, Jekowsky was the first to feature at least one American work on each concert program, and has done so for 23 seasons. 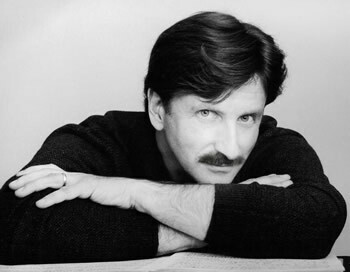 In 1991, he created the California Symphony’s Young American Composer-in-Residence Program (YACR), which has garnered international attention for its “orchestra-laboratory” forum and unique collaboration between musicians and composer during the creative process. And long before it became a trend, Jekowsky began giving extraordinarily gifted young performers their first professional concert appearances in the United States. Yet few in 1986 expected the newly founded California Symphony to succeed. After all, Bay Area classical fans knew Jekowsky only as the principal timpanist for the San Francisco Symphony, which he had joined in 1977 at the age of 22. Most were unaware he had won a prestigious Leopold Stokowski Conducting Prize the year before. Or that he had just made his international debut as the guest conductor of the world-class London Philharmonic – or previously led orchestras at the Aspen and Tanglewood Music Festivals. Indeed, the Juilliard graduate (who holds a bachelor’s and master’s degree) had spent years in training as a conductor – including with such legends as Leonard Bernstein and Leonard Slatkin (both long-time mentors), as well as Seiji Ozawa, Kurt Masur and Erich Leinsdorf. In 1994, while continuing at the helm of the CSO, Jekowsky was invited to become the Associate Conductor of the National Symphony in Washington, D.C., taking on many important duties for Leonard Statkin, then its Music Director-Designate. Over the next four years, Jekowsky led performances on the National Symphony’s highly successful subscription series, family and young people’s concerts at the Kennedy Center, programs at Wolf Trap, and four national tours. 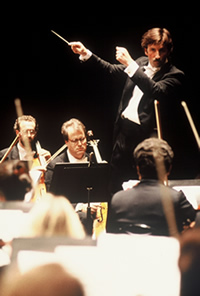 Beginning in 1998, Jekowsky spent a decade at the musical helm of the Reno Philharmonic – where his flair for innovative programming dramatically increased ticket sales, allowing the orchestra to double its budget and performance schedule, while ending each year with a cash surplus. He has also served as a guest conductor with many orchestras throughout North America and Europe including the London Philharmonic, City of London Sinfonia and Manchester’s (UK) Halle Orchestra, as well as the Detroit, St. Louis, Louisville, Jacksonville, Oregon, Richmond (VA), Pacific, Maryland, Delaware, Santa Rosa, Akron, and Oklahoma Symphonies, Wolf Trap Opera, AVA Ballet as well as the Aspen, Tanglewood, Britt and Texas Music Festivals. 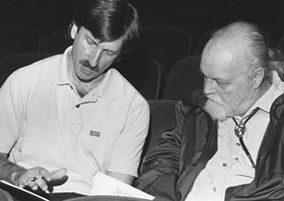 In 1997, Jekowsky led the California Symphony to critical acclaim with the recording of its first CD – “Lou Harrison: A Portrait,” featuring Al Jarreau (DECCA/ARGO) – which garnered rave national and international reviews and was named “CD of the Month” in Gramophone magazine, the classical music industry’s most prestigious publication. In 2005, music from the CD was featured prominently in the documentary film, “Deacon of Death,” by Dutch filmmaker Jan van den Berg. Jekowsky's concern for music education and his recognition of the special role an orchestra can play in the community inspired the design and implementation of the California Symphony's "Music in the Schools" program. As a unique, fun-filled musical and educational resource, the orchestra's ensembles present special in-depth programs in elementary schools throughout Contra Costa County, teaching an inspired understanding and appreciation of music. Considered one of the foremost authorities on prodigiously gifted children, Jekowsky was prominently featured in the critically acclaimed book, Genius Denied, by Jan and Bob Davidson (Simon and Schuster, 2004) and he also consults for the Davidson Institute, a unique organization dedicated to helping gifted children. Born and raised in Brooklyn, New York, Jekowsky started trumpet lessons at the age of four, followed by piano a year later. By five, he was reading music fluently and progressing rapidly on an inexpensive drum set his father had picked up at a local music store. After hearing that a neighbor’s child was attending Juilliard, Jekowsky’s parents took him to an audition. He was not only accepted, but offered a full scholarship. Over the next 15 years at the acclaimed academy, Jekowsky studied with such masters as solfege scholar James Wimer and renowned percussionists, Saul Goodman and Morris Goldenberg, as well as conductor, Sixten Ehrling. At the same time, he took private lessons in jazz and popular music. Thanks to a surprise audition arranged by a seasoned Broadway musician, Jekowsky made his professional debut as a musician at the age of 14, substituting in “Man of La Mancha” and other Broadway shows. By 16, he was a regular player in the live orchestras of such hits as Stephen Sondheim’s Tony Award-winning “Company” and “Sweeney Todd” – as well as for scoring sessions for albums, television shows and national commercials. 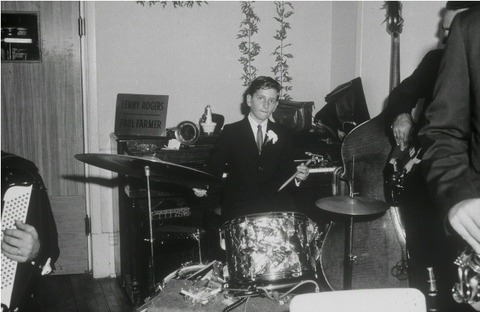 One New Year’s Eve, he filled in for Tony Bennett’s drummer at the last minute. The crooner was so taken with Jekowsky’s talents that he gave the 16-year-old a five-minute solo and his own curtain call . Also beginning at the age of 16, Jekowsky spent 14 consecutive summers at the Aspen Music Festival in their nine-week program. While continuing his studies, he played timpani for the festival’s orchestra, made up of prominent players from leading symphonies around the U.S., and began studying with Dorothy DeLay, the legendary violin teacher. DeLay, who became a close friend and colleague, gave Jekowsky his start as a conductor by having him direct the concerto concerts featuring her best students. In recognition of his leadership role in the local arts community, the Arts and Culture Commission of Contra Costa County honored Jekowsky in 1996 with its first Arts Recognition Award. He has served on the music panel of the National Endowment of the Arts and on the board of the Association of California Symphony Orchestras.